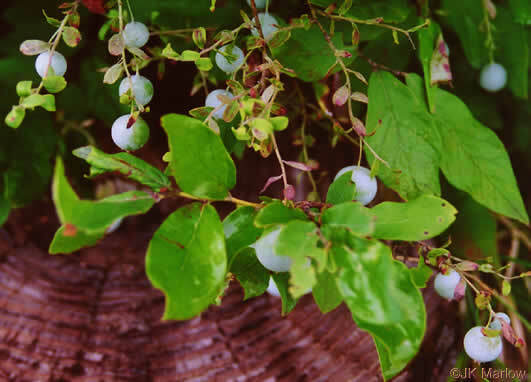 Vaccinium pallidum is a low shrub to 80 cm tall; colonial from underground stems, roots associated with highly specialized Ascomycota ericoid mycorrhizae, (Allen1991). Leaves alternate, egg-shaped, to 5 cm long, 2.5 cm wide, pale green above, whitish-waxy below, leathery, few or no teeth. Flowers white, cylindrical to urn-shaped, to 0.8 cm long, calyx and flower stalk whitish-waxy; blooms April-June. 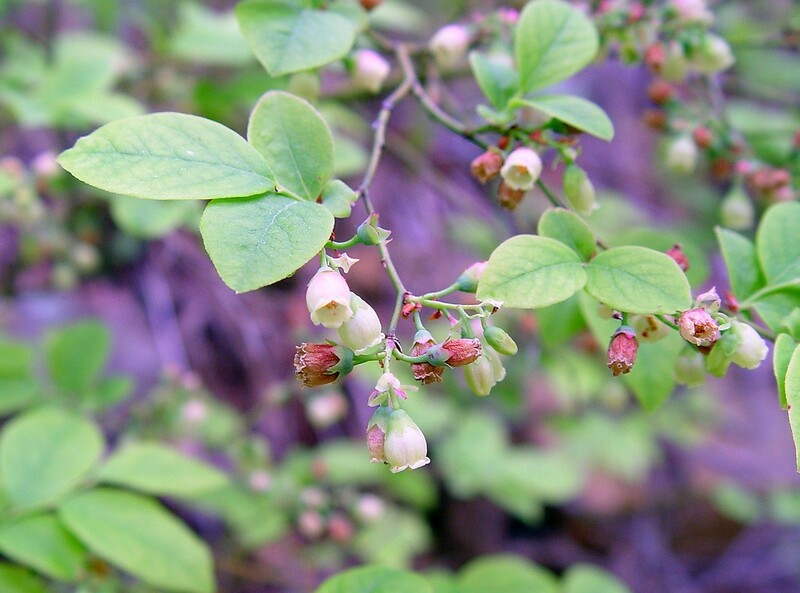 Vaccinium pallidum. flowers.By Arthur Haines. 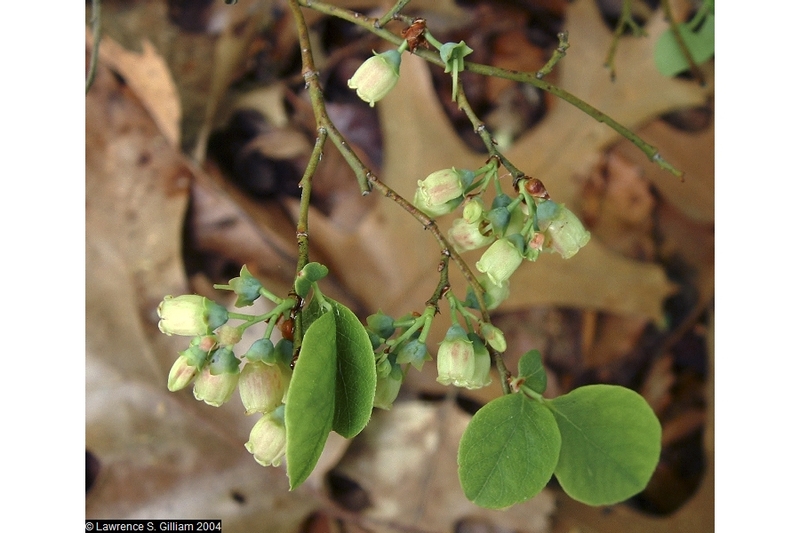 Copyright © 2015.New England Wild Flower Society.gobotany.newenglandwild.org (Accessed 7/2015). Fruit fleshy, to 0.8 cm, blue with waxy bloom, edible. Fruit eaten by many birds and mammals, including bears, raccoons, coyotes, foxes, skunks and opossum (Wilson 1993). Habitat: Dry oak woods and fields. Usually on acid, nutrient–poor soil. Tolerates acid soils down to pH 3.9 (Greller et al. 1990), found in soil pH 4.4-5.0 (Gargiullo unpublished data). 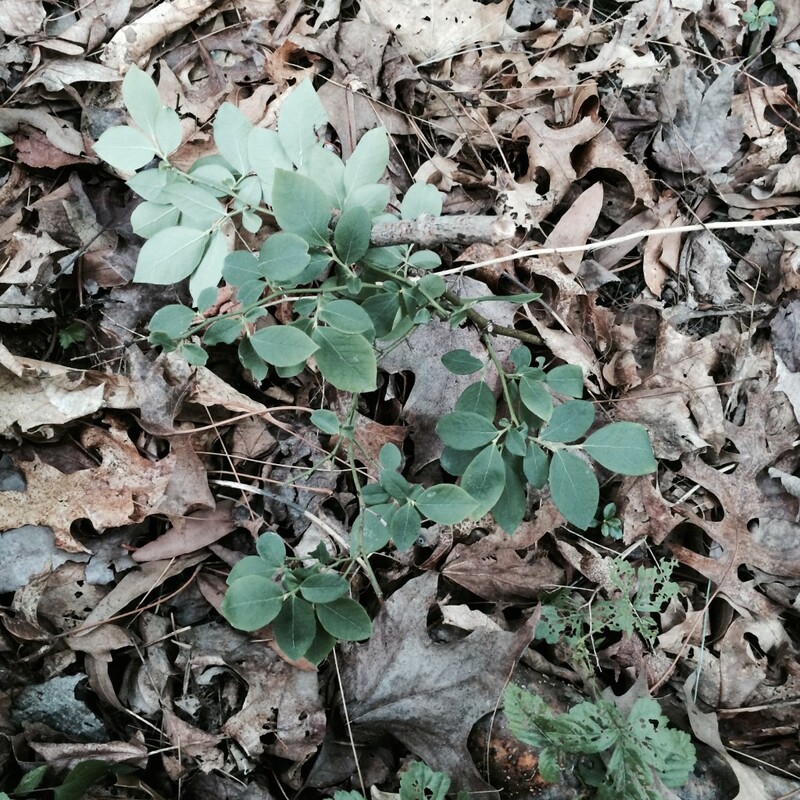 More common than V. angustifolium in NYC. a Also appears more shade tolerant. Notes: Twigs eaten by deer and rabbits (Martin et al. 1951).